The local volunteer project, a traditional first-day activity of the World Youth and Student Travel Conference (WYSTC), is an opportunity for conference delegates, WYSE Travel Confederation members, and other members of the youth travel industry to contribute to the conference host city. 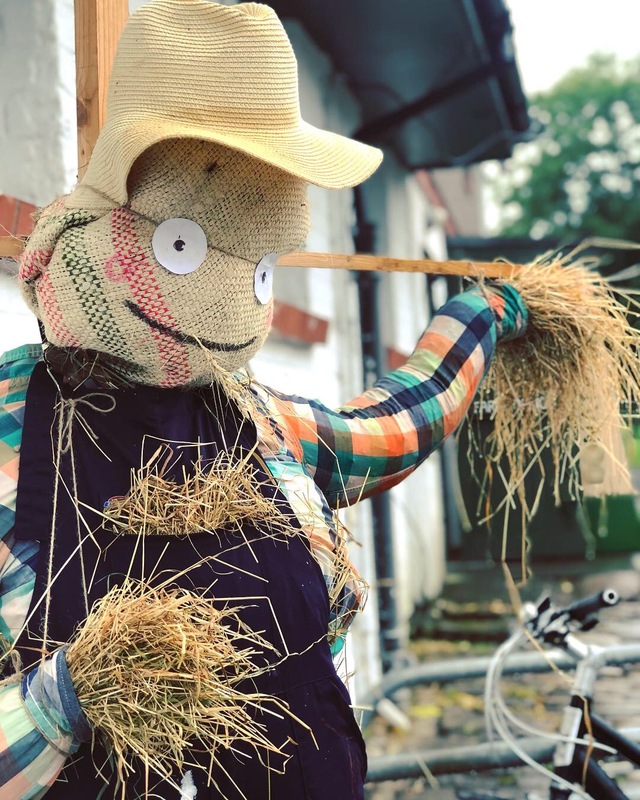 This year’s annual local volunteer project was held at Gorgie City Farm, a community farm established in 1977, and made open to the public in 1982. The farm was set up to support the socially vulnerable conflicted by poor housing, lack of employment, and education, as well as addiction and mental health issues. The programme takes in, on average, 100 disadvantaged people per week. The farm offers pet boarding services, which have helped them to raise nearly GBP 25,000 so far this year. With volunteers providing valuable labour to the farm, the task for participating WYSTC delegates was to assist with the facility upgrades, while adding their own touch. Guided by Gorgie Farm representatives, John Teasdale and Helen Syme, and being a typical rainy Scottish day, WYSTC volunteers helped spruce up some of the indoor facilities, including the stable and the chicken runs. 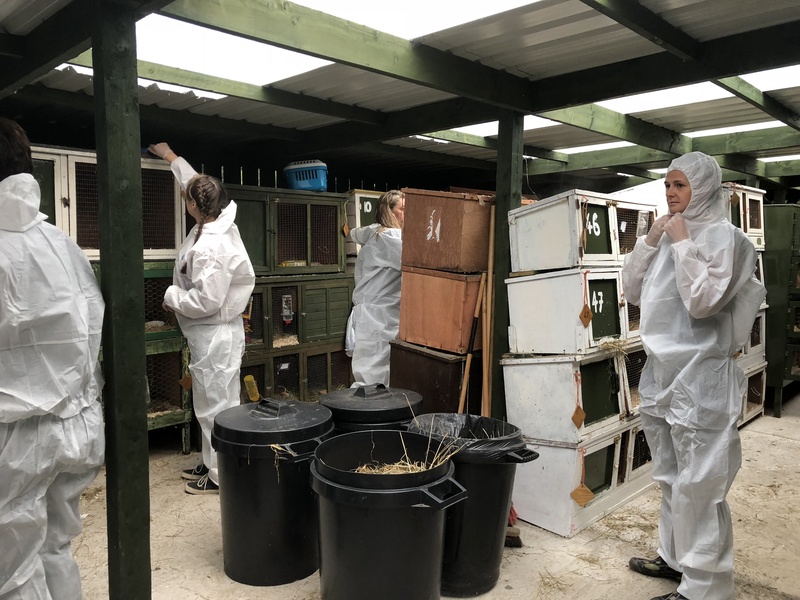 Volunteers were split into two groups; one to paint the stable walls, the other to paint the chicken hutches in the pet lodgings. WYSE Travel Confederation member, Philip Cabra Netherton from Euroventure has a personal motivation and interest in volunteering. Having previously volunteered in places such as Mozambique and South Africa, he likes the opportunity it offers to meet new people in a more natural environment and provides an alternative to the traditional business setting. While Lotte Andjkaer Chistensen from KILROY is motivated to support the cities and places she visits as a tourist. She also enjoys the off-the-beaten track basics of volunteering. Helen Syme has worked for Gorgie Farm for the past two years as the fundraising officer and tries to raise GBP 1,400 per day simply to run the farm. She recently helped organise a Farm Fest event and was able to raise close to GBP 50,000. Passionate for the cause, she says there is nothing better than being up to cuddle up to one of the soft furry animals on a bad day. Volunteer guide, John Teasdale, is originally from England and used to have a traditional desk job working in HR financial services. After wanting something different, he arrived at Gorgie Farm as a maintenance volunteer, then grew in his role to managing volunteer groups and has recently become a board member. ”I’m actually here four or five days a week and I love it. It’s so different to my professional job,” he explained. “When I worked in an office, I worked hard all day and I’d get to the end of the day and think, ‘what have I achieved?’. Here, you can instantly see what you’ve achieved; you can physically see something. And the fact that it’s on a site like this, given the purpose of it, that’s great” he said. Gorgie Farm will soon be celebrating their 40th birthday. Go to https://www.gorgiecityfarm.org.uk/ for more details on how to become a volunteer and contribute to this wonderful cause.